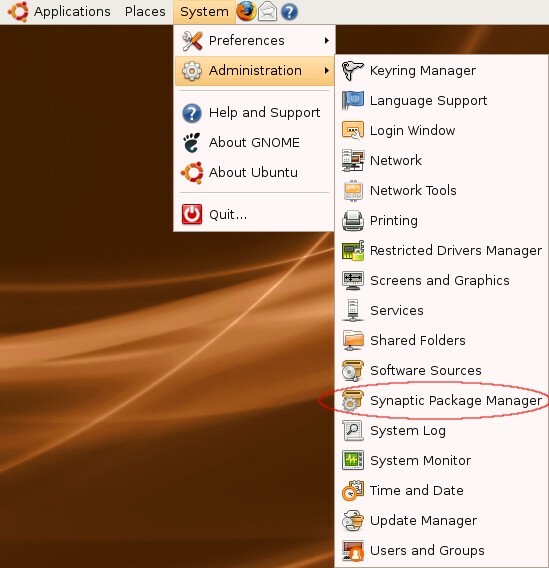 The Synaptic Package Manager is an easy to use program to install and deinstall software from the available repositorys - or just to check which programs are installed. 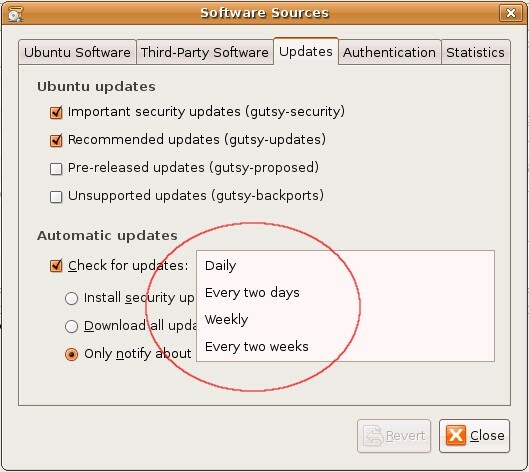 There are about 23.000 Packages available in the repositorys that are added by default in Ubuntu 7.10. 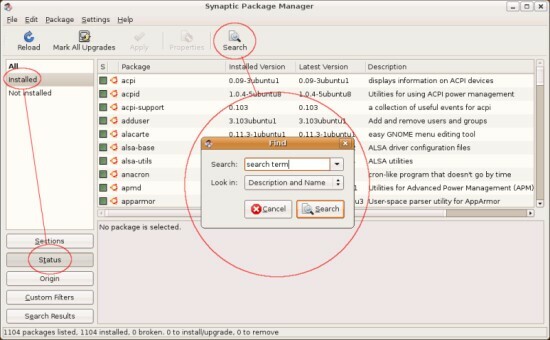 The Synaptic Package Manager is accessible via the gnome system menu. 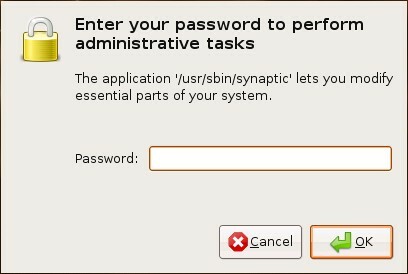 When you click on the button a popup will be shown that is asking for your password. 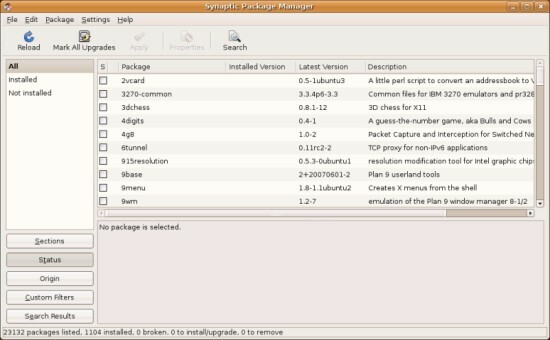 After you entered your password the Synaptic Package Manager appears. 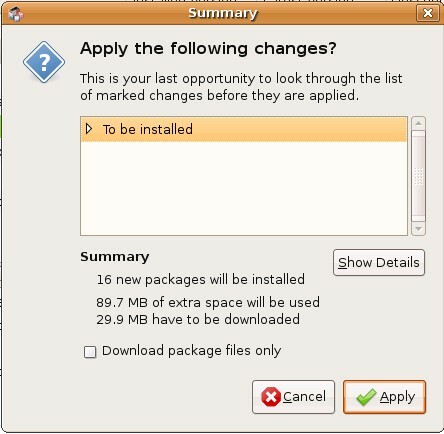 To deinstall one or more packages switch to the status view and mark "Installed". Now you'll see all packages that are installed on your system - you can browse them or search one or more packages with the search function. Within you can enter a package name or search term. 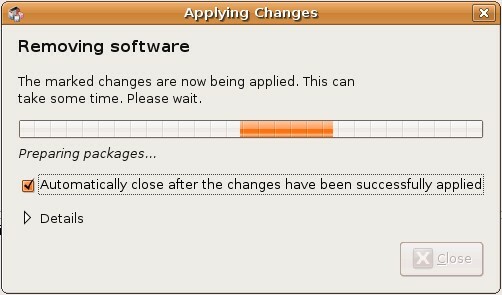 If you found a package that you want do deinstall, click on the green checkbox and select "Mark for Removal" or "Mark for Complete Removal" from the context menu. 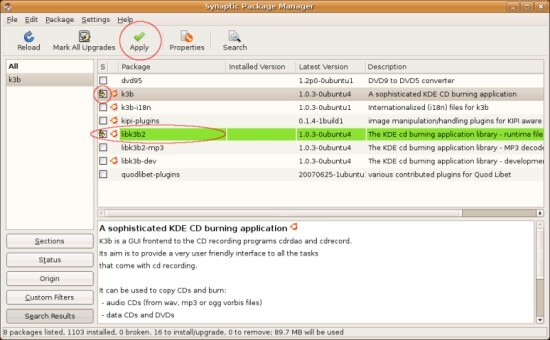 The difference between the both options for deinstall is, that a complete removal will also delete the configuration files while the normal removal won't delete them. This can be useful if you want to keep your configurations for a package (You can install it again later and don't need to configure it a second time). Afterwards the package is marked with a red cross. 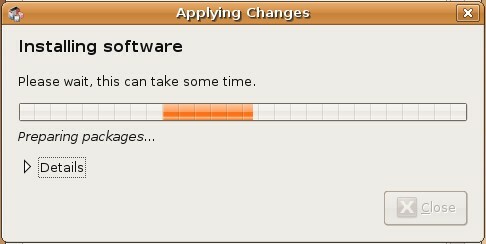 To take the changes affect click on "Apply" in the upper menu bar and afterwards commit the summary. 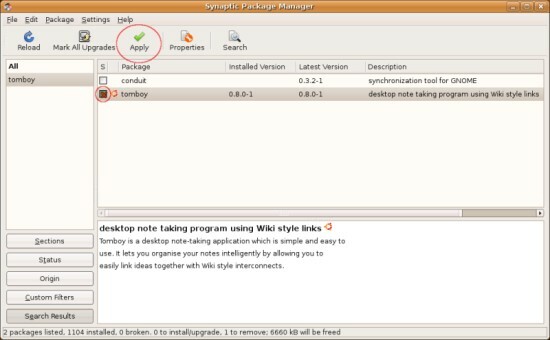 To install one or more packages switch to the status view and mark "Not installed". Now you'll see all packages that are not installed on your system - you can browse them or search one or more packages with the search function. Within you can enter a package name or search term. If you found a package that you want to install, click on the white checkbox and select "Mark for Installation" from the context menu. 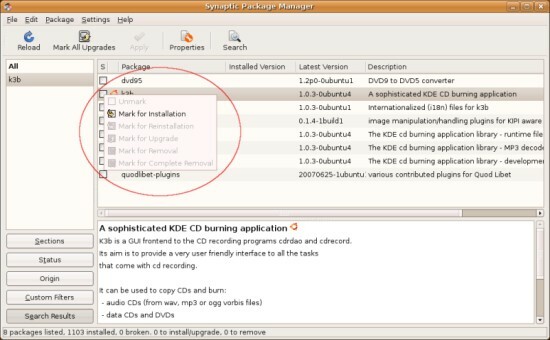 The packages you want to install will occasionally have dependences - then a window will pop up and you have to commit the marking of the additional needed packages. Afterwars the package and its dependences are marked with a yellow arrow. Dependences are marked green as well. The system will check for updates automatically and notify you if updates are available. 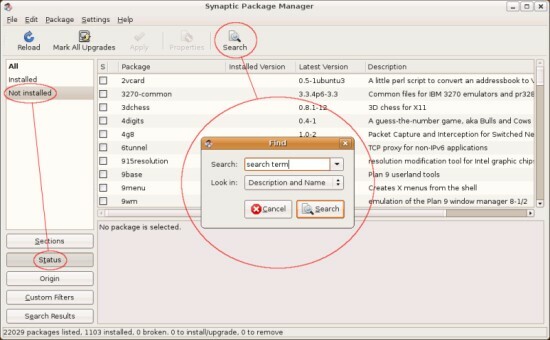 You can adjust the check-intervals within the Synaptic Package Manager. 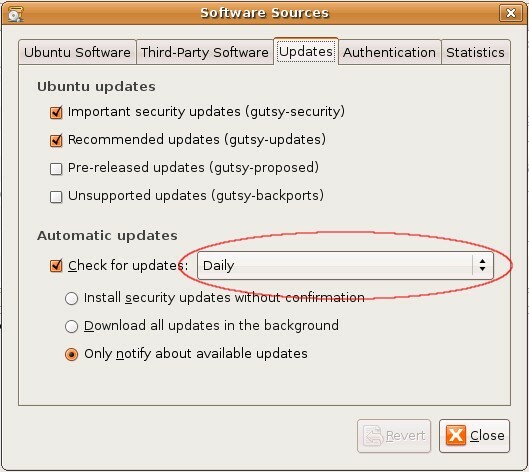 The system will notify you if there are updates available. Klick on the orange button for details. 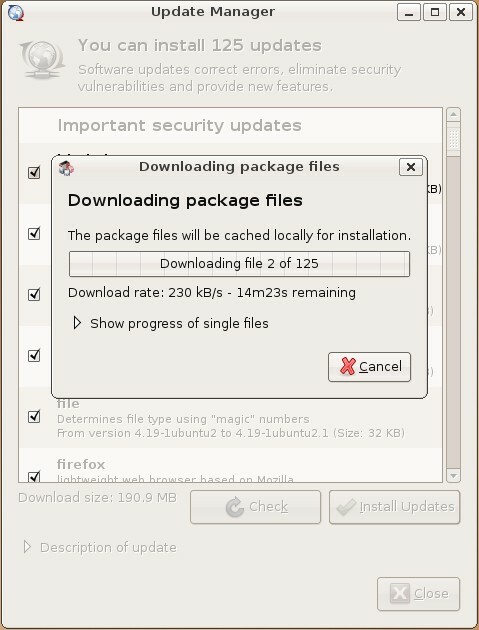 Within the update manager you can see detailed informations about the new packages. 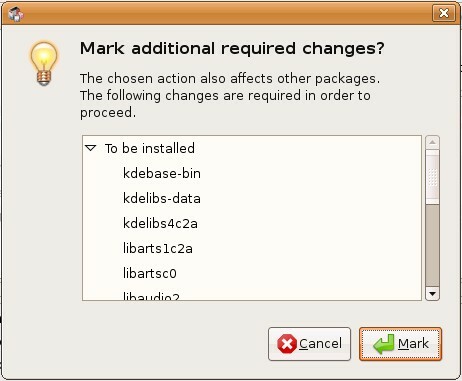 If you don't want to install a package, unmark the corresponding checkbox. 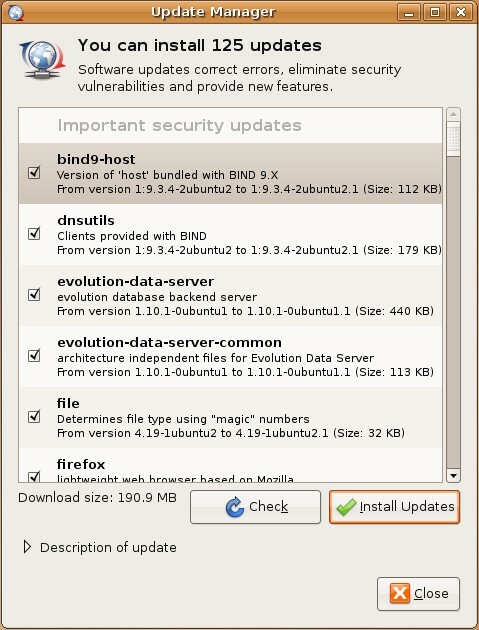 To install the updates click on "Install Updates". You'll be asked for your password. If system critical updates were installed (e.g. 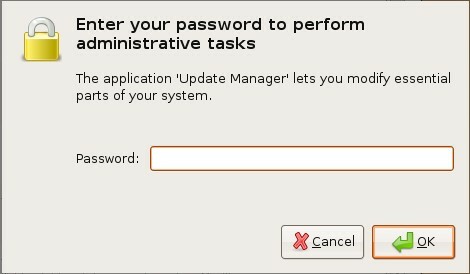 a new linux kernel) a system restart is required. 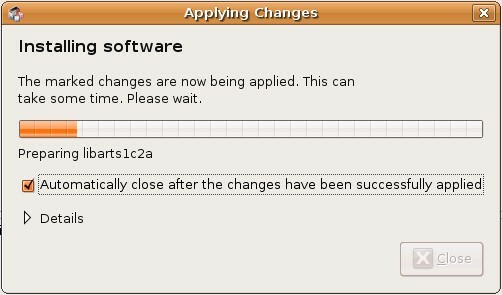 Note: Some screenshots were taken on Ubuntu 7.04 - there were no updated packages available when I was writing this howto.